1918 … When Rose Porter arrives on the shores of Sydney with little more than her suitcase, she must take a job as a parlourmaid at the mysterious North Head Quarantine Station. It’s a place of turmoil, segregated classes and strict rules concerning employee relationships. But as Rose learns, some rules were made to be broken. 2019 … Over a century later, Emma Wilcott lives a secluded life in Sydney where her one-hundred-year-old grandmother, Gwendoline, is all she has. Gwendoline is suffering dementia and her long-term memories take her wandering at night. Emma realises she is searching for someone from her past. Emma’s investigation leads her to the Quarantine Station where she meets Matt, the station carpenter, and together they unravel a mystery so compelling it has the power to change lives, the power to change everything Emma ever knew about herself. Michelle Montebello is a writer from Sydney, Australia where she lives with her husband and two young children. She is the author of the bestselling Belle Series which earned her 2018’s Best New Author in the AusRom Today Reader’s Choice Awards, as well as a finalist for Book of the Year for Interwoven and Author of the Year. 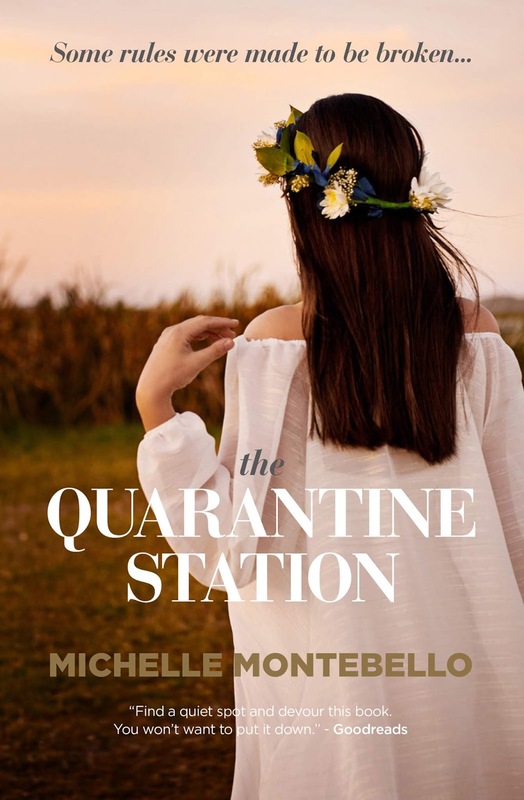 The Quarantine Station is her fourth novel, a standalone historical romance. This sounds really interesting. I love dual timeline stories. Maybe I will win this one? ?